Each laser has a control panel that allows the operator to select desired power settings. This control panel should be easy to read and the chosen power settings should be prominently displayed. Laser energy can harm eyes if directed against them. Everyone in the operating room should wear special protective glasses when the laser is in use. 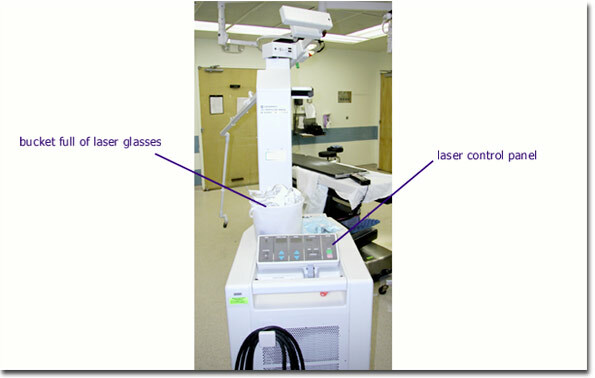 During laparoscopic laser use, the laser energy is contained within the laser arm, laparoscope and patient’s abdomen so the risk of laser eye injury is reduced.